Andre Perry is a David M. Rubenstein Fellow in the Metropolitan Policy Program at the Brookings Institution. His research focuses on race and structural inequality, education, and economic inclusion. Of particular note, Perry’s recent scholarship at Brookings has analyzed majority-black places and institutions in America, focusing on highlighting valuable assets worthy of increased investment. Prior to his work at Brookings, Perry has been a founding dean, professor, award-winning journalist, and activist in the field of education. In 2015, Perry served on Louisiana Governor-elect John Bel Edward’s K-12 education transition committee, as well as New Orleans Mayor-elect Mitch Landrieu’s transition team as its co-chair for education in 2010. In 2013, Perry founded the College of Urban Education at Davenport University in Grand Rapids, MI. 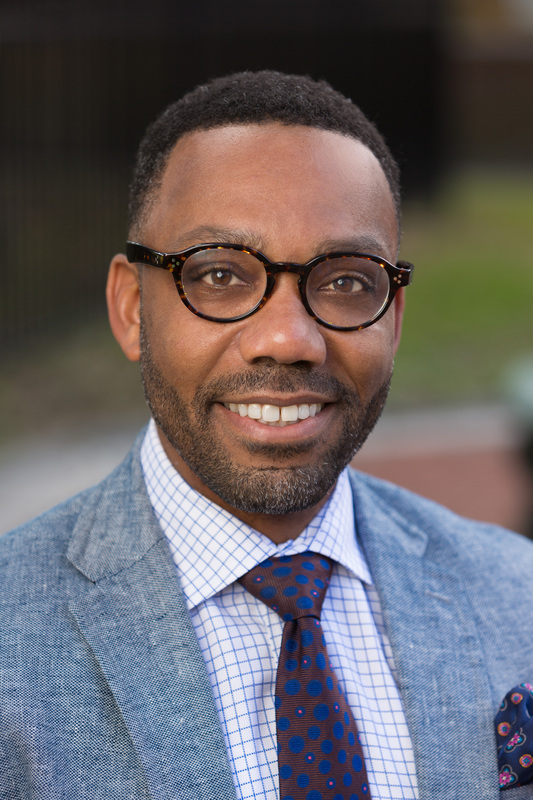 Preceding his stint in Michigan, he was an associate professor of educational leadership at the University of New Orleans and served as CEO of the Capital One-University of New Orleans Charter Network. Since 2013, Perry’s column on educational equity appears weekly in The Hechinger Report, a nonprofit news organization focused on producing in-depth education journalism. Perry’s writing has also been published by The New York Times, The Nation, Washington Post, CNN.com, The New Republic and TheRoot.com. Perry has made appearances on CNN, PBS, National Public Radio, NBC and ABC. Perry’s academic writings have concentrated on race, structural inequality, and urban schools. For the 10th anniversary of Hurricane Katrina, Perry co-authored School by School: The Transformation of New Orleans Public Education in "Resilience and Opportunity: Lessons from the U.S. Gulf Coast after Katrina and Rita," published by Brookings Institution Press. Perry also co-authored in "The Transformation of New Orleans Public Schools: Addressing System-Level Problems without a System," published by the Data Center of New Orleans. He also co-authored the chapter Between Public and Private: Politics, Governance, and the New Portfolio Models for Urban School Reform published on Harvard University Press. Along with the Joint Center for Political and Economic Studies, Perry co-authored the report, PLACE MATTERS for Health in Orleans Parish: Ensuring Opportunities for Good Health for All. A native of Pittsburgh, Pa., Perry earned his Ph.D. in education policy and leadership from the University of Maryland College Park. Perry’s academic writings have concentrated on race, structural inequality, and urban schools. For the 10th anniversary of Hurricane Katrina, Perry co-authored School by School: The Transformation of New Orleans Public Education in “Resilience and Opportunity: Lessons from the U.S. Gulf Coast after Katrina and Rita,” published by Brookings Institution Press. Perry also co-authored in “The Transformation of New Orleans Public Schools: Addressing System-Level Problems without a System,” published by the Data Center of New Orleans. He also co-authored the chapter Between Public and Private: Politics, Governance, and the New Portfolio Models for Urban School Reform published on Harvard University Press. Along with the Joint Center for Political and Economic Studies, Perry co-authored the report, PLACE MATTERS for Health in Orleans Parish: Ensuring Opportunities for Good Health for All. Op-ed: Who Gets Left Out of the Urban Tech Boom? "DeVos' generic and woefully insufficient statement effectively sanitized the hate"